Traditional Chinese medical science was already highly developed before the end of the Ming Dynasty. 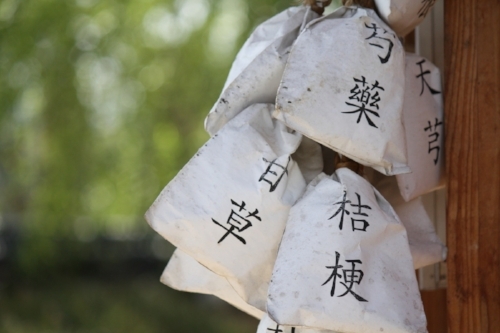 In the recent century, traditional Chinese medicine wandered in a low valley. It was not due to the defects in theories or principles of traditional Chinese medicine. It was fundamentally due to the misunderstanding of the philosophy of traditional Chinese medicine by the medical professionals in the Modern Time. Since the end of the Ming Dynasty, the medical professionals were exposed to the mechanical materialistic philosophy of the Western science, and blindly applied a symptomatic approach to work with Chinese medicine. Chinese medicine became more “pragmatic.” But Chinese medicine lost its footing and indeed moved in the wrong tract. 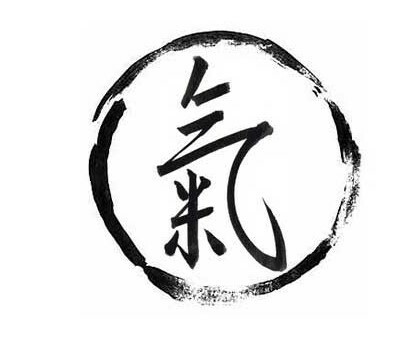 Simply put, the essence of traditional Chinese medicine is to regulate Qi (vital life force) and Blood, open channels and collaterals, and harmonize yin and yang. In other words, Chinese medicine helps to restore organic functions and metabolism to a holistic state in the body. The concepts of Chinese medicine are sophisticated. The theory complex made up by Yin and Yang, Exterior and Interior, chills and fever, asthenia and sthenia, Qi and Blood, the Five Elements, viscera, channels and collaterals, is still very abstract to people of modern age. Only when these concepts are thoroughly understood, it is hard to comprehend the mechanism of Chinese medical science. Traditional Chinese medical science is a holistic system based on observing various external functional activities of the human body. Western medical science is a different system based on mechanical hypothetical theory of modern physics. Western medical science emphasizes particularly on a linear approach in analyzing the internal structure of tissues and the interactive relation between the life force and various physiological functions. When the functions are normal, the structures are normal. However, normal structures may not necessarily mean normal functions. Traditional Chinese medical science emphasizes restoring the function while Western medical science emphasizes on restoring structures. Western medical science does not recognize that there is a special regulatory system called channels and collaterals in the living body. Due to the inadequacy of epidemiology, many so called “factors” causing diseases may not necessarily cause the diseases. For instance, eating too much fatty food and seafood may result in hyperlipemia. Taking excessive sugar may lead to diabetes mellitus. Smoking increases the risk of lung cancer. Is it really true that the disease of hyperlipemia, diabetes mellitus and lung cancer could be prevented with less fat and seafood, less sugar and no smoking? Not exactly. Hyperlipemia and lung cancer may still occur when no fatty food and no smoking are involved. I know of some elderly with a smoking history of more than 60 years who never suffered from lung cancer and lived well into their 90s. On the contrary, some people who never smoked but died prematurely from lung cancer in their 50s. There are other people who eat a lot of fatty food and seafood without suffering from hyperlipemia while some others eating small amounts of fatty food and seafood suffer from hyperlipemia. The external causes are the attributes. 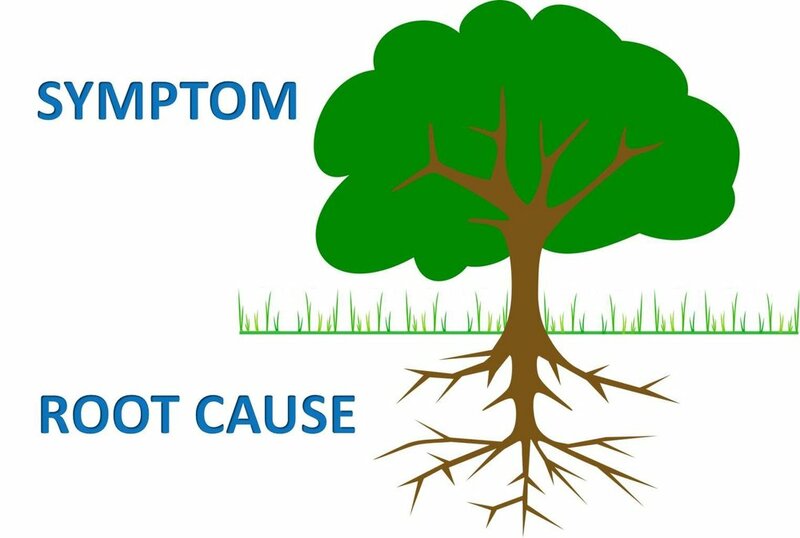 But the internal causes are the root of the problem. The external causes are the manifestation of the internal causes. So eating too much fatty food and seafood is the external cause. The malfunction of Liver and Spleen in digestion and assimilation is internal cause. Although the patient with hyperlipemia does not take fatty food, the serum cholesterin and triglyceride remain at high levels. The malfunction of Liver and Spleen causes excessive cholesterin and triglyceride to accumulate in the body. Therefore, it is important to adjust the function of the different organs within the body. In turn, the relationship of the body and the Universe can also be harmonized. Chinese traditional herbal medicine regulates the body functions essentially by the intangible botanical properties and amoras of individual herbs. Some tangible chemical components of individual herb also have a role to play. Chinese herbal medicine includes a wide variety of herbal ingredients. The energetic characteristics of the Chinese herbal medicine are determined by the biochemical reactions among the properties and aroma of individual herbs within an herbal formula. That is the reason why the extract of an herbal ingredient cannot present original properties and aroma of the raw herb itself. This is the fundamental difference between Chinese traditional herbal medicine and Western medicine. For instance, hundreds of intangible substances in Ren Shen (ginseng) and Da Huang (rhubarb) have been destroyed when ginsenoside and chrysophanol are extracted from ginseng and rhubarb respectively. Therefore, ginsenoside and chrysophanol can be used as drugs, like typical western pharmaceuticals but ginsenoside fails to nourish vital energy as Ren Shen does, or does chrysophanol purge the pernicious substances from the body as Da Huang. Traditional Chinese medicine science requires authentic medicinal herbal materials. The natural ginseng panax growing for hundreds of years in Changbai Mountain is incomparable to cultivated ginseng panax of several years in the farms elsewhere. Different geographic zones receive different kind of Qi from the Universe. The vegetation in different geographic locations is different. Modern science can only reveal the difference in the composition of substantial substances, but is unable to identify the non-substantial elements and properties, let alone their transformative functions. At this point of time, modern scientists may be able to find out all the effective physical components of Chinese traditional herbs, but remain puzzled of the mechanism of Chinese traditional herbal therapies. In recent years, many scientists turn to study the herbal compounds. Their major focus stays on the physical components of herbal medicine and the possible reactivities each herb may have. A single herb has a complicated biochemical composition. In an herbal formula, the different physical properties and the quatity of each herb are being mixed during the cooking process. The end product of multiple organic reactions among all the different herbs within the formula is beyond laboratory analysis. The end product will not be simply the sum of the parts. This unpredictability of the multi-herbs interactivity creates great difficulties in herbal medicine research. In face of the complicated disease process such as cancers, psychoses and iatrogenic diseases in modern time, people come to realize the limitation of Western medical science, and seek other medical modalities to complement and/or supplement western medicine. Traditional Chinese medical science becomes popular all over the world. The 21st century could be a renaissance of traditional Chinese medical science!